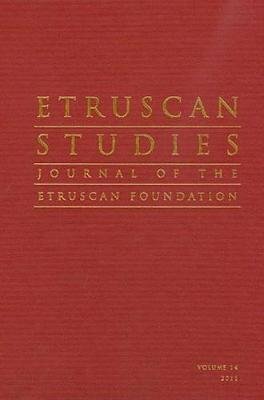 Etruscan Studies: Journal of the Etruscan Foundation is the leading scholarly publication on Etruscology and related disciplines in the English language. The journal details activities in all areas of research and study related to the Etruscan civilization, with articles contributed by scholars from around the world, including reviews of meetings and publications of noteworthy interest to the professional community. The editors invite submissions of original research in all disciplines relating to Etruscan and Italic studies, such as archaeology, archaeometry, art history, epigraphy, and history. Archaeological site reports, either annual or multi-year, are also welcome.